Just because Breaking Bad is over doesn’t mean the extras have to stop: There’s still the complete series barrel to promote with teases of bonus content. 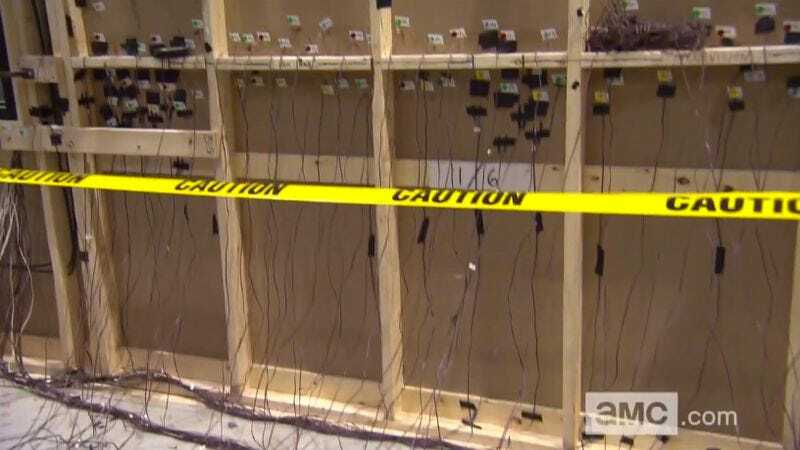 And as AMC has done for every episode this season, the network immediately released a few behind-the-scenes featurettes detailing all the complicated work that went into crafting every last detail. The “Making Of” videos delve into the makeup process for the final episodes, depicting Bryan Cranston as “old and dying” through prosthetic facial features all along his cheeks, a rubberized neck to make Walt’s skin look significantly more wrinkled. But perhaps more enlightening—along with the string of other details trickling out through various sources throughout the day—is Vince Gilligan’s revelation that the writers created the flash-forward of Walt opening the trunk to reveal an M60 machine gun without any concept of how he would use it. Uncle Jack didn’t exist when the staff came up with the opening of “Live Free Or Die,” which stays true to the way in which all the other seasons developed organically as a collaborative process.